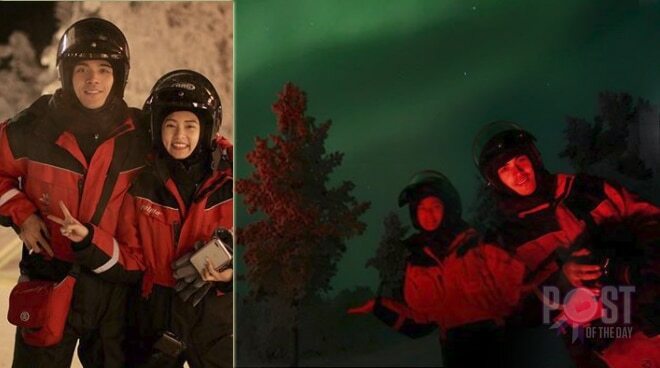 After touring Denmark, celebrity couple Kim Chiu and Xian Lim traipsed to Finland for a once-in-a-lifetime experience to see the Aurora Borealis or the northern lights. Kim and Xian revealed their amazement on their respective Instagram accounts. The couple shared their selfies and even called themselves masked superheroes.